Sounds like an incontinence device, but this clever little moulding clips on your oil can etcetera and means you can accurately pour without the need for a funnel. 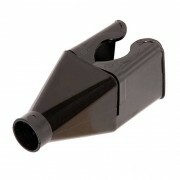 Useful to keep on your oil and coolant top up in the car as takes up next to no space (95 x 40 x 40mm), unlike a funnel! Use again and a..
It’s a great price but don’t let that fool you, this isn’t like some of the nasty s*** peddled on auction sites, it will work more than once! Worth sticking in the boot of the car as it takes up little space and you know the airline at every filling station on route will be kna...e.. 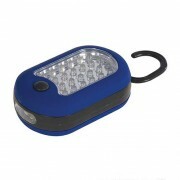 Bright 24 LED lantern and 3 LED torch combined in one tough little unit that slips neatly into a pocket. Magnetic back plate plus hanging hook. 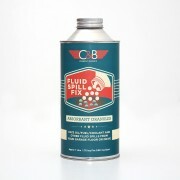 Ideal for hanging on suspension parts in dark wheel arches or sticking under a dash with its internal magnets for wiring work. Press the switch a second tim.. 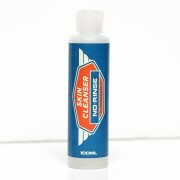 Compact squeezable bottle of hand cleaner that doesn't require water to rinse. 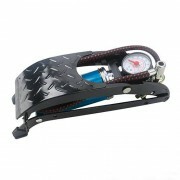 Great for keeping in the glovebox or toolkit for those breakdowns - or 'Roadside Tuning' as we like to call it. Massage into greasy hands and wipe off with a cloth or paper towel. 100ml. 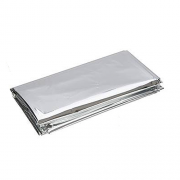 ..
2m x 1m (6'6" x 3'3") plastic foil emergency blanket. Smaller than an envelope but amazing insulation properties. Tuck away in the glove box and if you break down, it will keep your co-pilot warm whilst you “fettle the old girl” or await the recovery wagon. We've fo.. This firm rubber mat is great for keeping in the boot in case of breakdown or taking with you when inspecting vehicles for purchase. Makes crawling around under the car a much more bearable experience! Use it folded as a very comfortable kneeling rest. When open its 1210mm (4ft) long and 420mm (1..